Halloween Adventure: Jake and the Neverland Pirates Costume Review! It's that time again, can you believe it!? Grocery stores already have their Halloween isles stocked with candy! 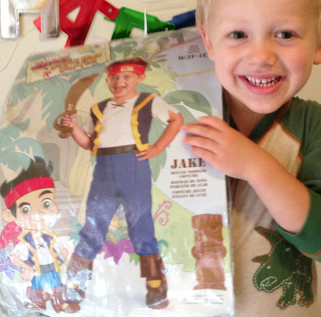 I was able to try out Halloween Adventure this year for our costume needs and I found a Jake and the Neverland Pirates Costume that made my 4 year old super happy.